Nanri is a very special word in Tamil language…it means Thankyou. Today, ‘dosaikal’ completes a year, it is truly a very happy feeling. As a child grows up, parents remember the elated emotion when the child was born… but from a new born to infant, infant to toddler, toddler to pre-schooler, pre-schooler to schooler and an adolescent – the transformation is as fast as a blink. It was exactly a year ago that I wrote my first article in dosaikal and now it is a full circle of 365 days! Every year on my birthday.. it is usually a mixed feeling – one of celebration and other of growing older. Ofcourse, the former overrules the latter! With dosaikal’s birthday – it is again a kind of mixed feeling – one of jubiliation and delight and the other of more responsible writing. My heartfelt thanks to every reader who has lent his/her valuable time to spend some time in by blog. Their patience to read and come back to read again means a lot to me. My special thanks to my subscribers who have given me the confidence, enthusiasm, vigour and motivation to express my passion in words. That is why, this ‘NANRI’ is not a simple word – it is a special word and a special emotion. Amma holds a special position. She explains the perfect methods of making a delicacy and I try completing it to atleast half perfection. A very special nanri to Amma and Aachi, my true inspirers. Thirukkural is the masterpiece of Tamil literature with the highest and purest expressions of human thought. It is written in the form of couplets (two line poems) expounding various aspects of life. It contains 1330 couplets, divided into 133 chapters of 10 couplets each. 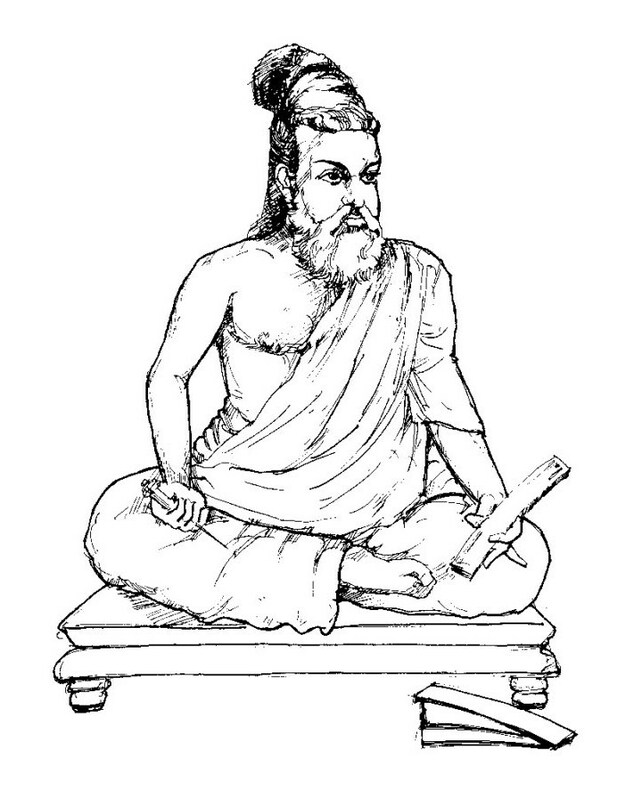 Thirukkural was written by Thiruvalluvar. We find Thiruvalluvar as a moral philosopher, political scientist and master of public administration in the first two parts of Thirukkural. We find him to be a creative artist in the third part, depicting the fascinating aspects of lovers. Thirukkural’s immortality and universality are unquestionable. Its ethics and values are applicable to all religions, countries and time. It has been translated in over 60 languages of the world. It is generally reckoned that Kural was composed during the Sangam Period of literary development in Tamil (500-200 BC). Among the 1330 couplets, kurals 101 to 110 under the title ‘sei nanri aridhal’ or Gratitude talks on importance of gratitude. This one is for my beloved friend Oz, who helped me in starting this food blog. A fine, popular and sort after food blogger (www.kitchenbutterfly.com) herself, took the pain of explaining me the nuances of blogging. Infact, I registered this blog with Oz helping me in the procedures. Thankyou Oz! The gift itself, -in excellence transcends the earth. A favour conferred in the time of need, though it be small (in itself), is (in value) much larger than the world. When you ponder right its merit, ‘Tis vaster than the sea. If we weigh the excellence of a benefit which is conferred without weighing the return, it is larger than the sea. Thanking my husband and lovely daughter … would be like thanking myself… but these verses of Thiruvalluvar explain the beauty of the relationship. If love and virtue in the household reign, This is of life the perfect grace and gain. If the married life possess love and virtue, these will be both its duty and reward. Nanri! Thankyou! Keep encouraging me to communicate my passion in words ! CONGRATULATIONS! on successfully completing a year with “Dosaikal.com” You have done an excellent job! I truly admired your work, especially the style of presenting them. Since I am a vegetarian, I have been looking at only your vegetarian recipes. 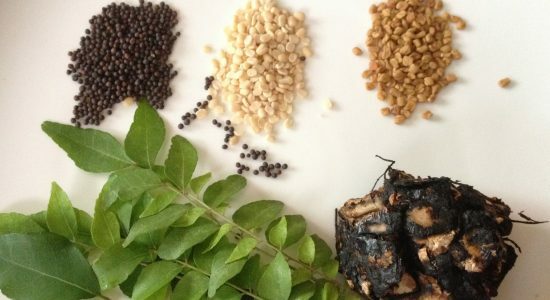 Your vegetarian recipes are very authentic South Indian cooking, which is slowly been forgotten by the younger generation or sometimes its spoilt with the modernisation and mixing in of some ready made spices. I like all your vegetarian recipes and I had shared them with all my friends and families here in Holland as well as abroad in many countries. Your work shows that, you are very talented. You make excellent photos all by yourself too! You present your recipes with these perfect photos plus suitable story and even giving some interesting history behind some of the recipes. That makes it all very special and very original too! Many can write recipes, but you are giving colour to it. I like your style. Subbu, I suggest you take one step further and write your own “DOSAIKAL.COM” COOKBOOK! I wish to be the first one to buy that book. I will also encourage all my friends, my families, all my sisters, all my nieces and cousins to buy your cookbook! Every home and every library should have one! HAPPY BIRTHDAY Subbu! I wish you a beautiful day. Thankyou Jaya, Your words have always been a motivating factor. It feels really great to hear such words from you. I shall try to keep pace with your expectations. Dear Suubu, happy blog birthday. I love your passion and dedication to sharing your south Indian cuisine with me, with us. I have learnt a lot from you…..if not for you, I would never have known the difference in Indian cuisines. Thanks and many more years of great food. This has certainly been a lovely platform to share my passion.Thankyou Oz. Congratulations, akka !! Though I am not an ardent fan of cooking,yet, I enjoy reading your recipes and hope to get inspired to try my hand at some dish soon ! Your little anecdotes and the history behind the dish or an ingredient is what I enjoy the most . Thanks aarthi, it is a wonderful feeling to connect with so many people around the world. Congrats Subbu…Great work you have done..Keep going…Wishing u a success in all ur attempts.. Thanks Lakshmi. this has been a truly relishable journey!